Maximize your space and your home entertainment options by easily converting your Brunswick pool table into a generous buffet or elegant dining table. 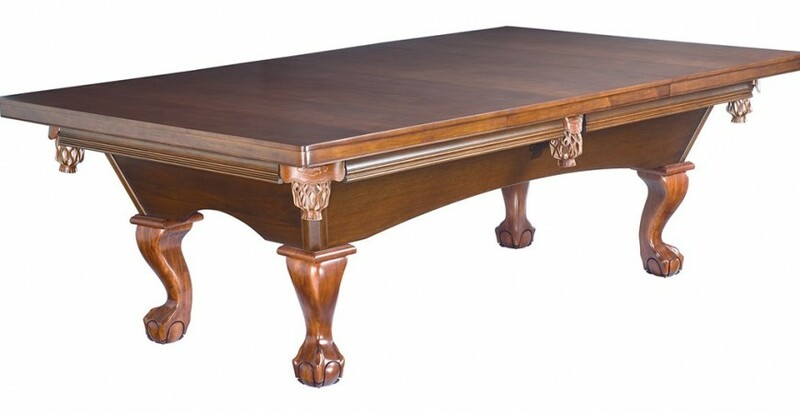 This simple to install, four-piece, traditionally styled wooden Dining Top measures 106″ x 60″, and is available in a chestnut or espresso finish. Dining Top Storage Bags safely store and protect your Pool Table Dining Top when not in use. Made from durable, 100% polyester denier, with Velcro® close. Four bags included, one for each section of the Dining Top.